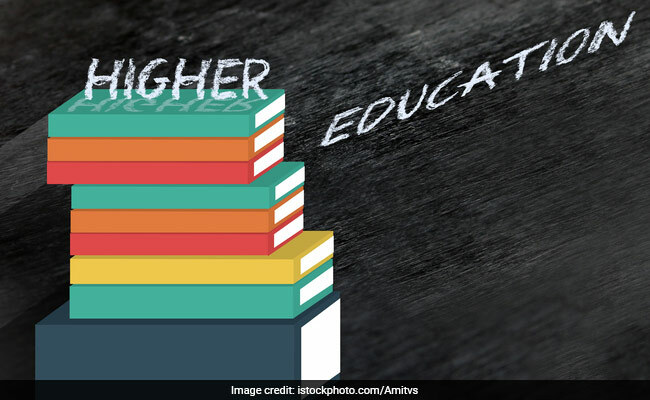 NEW DELHI: The Union Cabinet today approved a proposal by the Human Resource Development (HRD) Ministry for expanding the scope of its HEFA or Higher Education Financing Agency by enhancing its capital base to Rs. 10,000 crore to meet the rising financial requirements of educational infrastructure in the country. The Cabinet Committee on Economic Affairs (CCEA) also approved that the modalities for raising money from the market through government guaranteed bonds and commercial borrowings would be decided in consultation with the Department of Economic Affairs so that the funds are mobilised at the least cost. The CCEA chaired by Prime Minister Narendra Modi has also approved the proposal of tasking HEFA to mobilise Rs. 1,00,000 crore for Revitalizing Infrastructure and Systems in Education (RISE) by 2022. “Revitalising Infrastructure and Systems in Education (RISE) by 2022” is an initiative by the central government to step up investments in general and research infrastructure in premier educational institutions, including health institutions. In order to expand this facility to all institutions, especially to the institutions set up after 2014, Central Universities which have very little internal resources, and the school education/health education infrastructure like AllMSs, Kendriya Vidyalayas, the CCEA has approved five windows for financing under HEFA and the modalities of repaying the Principal portion of the fund (interest continues to be serviced through Government grants in all these cases). According to this, firstly, technical institutions more than 10 years old should repay the whole principal portion from the internally generated budgetary resources, while secondly, the technical institutions started between 2008 and 2014 should repay 25% of the principal portion from internal resources, and receive grant for the balance of the Principal portion. Thirdly, Central Universities started prior to 2014 should repay 10% of the principal portion from internal resources, and receive grant for the balance of the Principal portion. Fifthly, all the newly set up AIIMSs and other health institutions, the Kendriya Vidyalayas / Navodaya Vidyalayas would be funded and the Department/Ministry concerned will give a commitment for complete servicing of the principal and interest by ensuring adequate grants to the institution, said a statement from the ministry. The CCEA has also approved increasing the authorized share capital of HEFA to Rs. 10,000 crore, and approved infusing additional Government equity of Rs. 5,000 crore (in addition to Rs.1,000 crore already provided) in HEFA. “This would enable addressing the needs of all educational institutions with differing financial capacity in an inclusive manner,” said the statement. “This would enable HEFA to leverage additional resources from the market to supplement equity, to be deployed to fund the requirements of institutions. Government guarantee would eliminate the risk factor in Bonds issue and attract investment in to this important national activity,” added the statement. HEFA has been set up on May 31, 2017 by the Central Government as a Non Profit, Non Banking Financing Company (NBFC) for mobilising extra-budgetary resources for building crucial infrastructure in the higher educational institutions under Central Govt. In the existing arrangement, the entire principle portion is repaid by the institution over ten years, and the interest portion is serviced by the Government by providing additional grants to the institution. So far, funding proposals worth Rs. 2,016 crore have been approved by the HEFA.